Tricycle is one of the common modes of transportation in the Philippines. You can find them in even small towns and even big cities. There are times that riding in a tricycle is risky especially if it runs on busy highways. But, it can be more dangerous if a tricycle driver takes his son while driving. Have you seen the photos shared by a Mar Errol Buhat Diaconte, a netizen from Pontevedra, Capiz? A tricycle approached Diaconte while he was waiting for a ride. 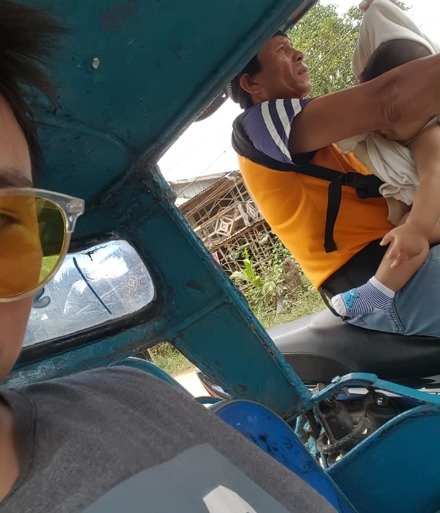 But, he was surprised when he saw that the tricycle driver was carrying a baby while driving. Out of concern, he took some photos and shared those on Facebook. Many netizens have seen the post that went viral. Some netizens showed their intent to help the father and they wished that it would be featured on TV. Recently, it was featured on Rated K. The driver who is also the father of the baby was recognized as Vicente Botante. He is 49 years old and a single dad. He’s the one solely raising his 11-month-old baby named Rayve. According to Tatay Vicente, he was then working in Manila as a construction worker when he met a lady and became textmates. The girl is also a native of Pontevedra and they fell in love only through phone. But, Tatay Vicente decided to go home and quit his job just to be with the woman. They lived together and the woman got pregnant. After weeks of giving birth to Rayve, Rose (not the real name) had left Tatay Vicente and the baby. He found out that Rose was married to another man and had kids. Obviously, Tatay Vicente had no choice but to bring his son every day while working in the streets. The income of a tricycle driver most likely is not enough to meet the daily expenses, especially with a kid. 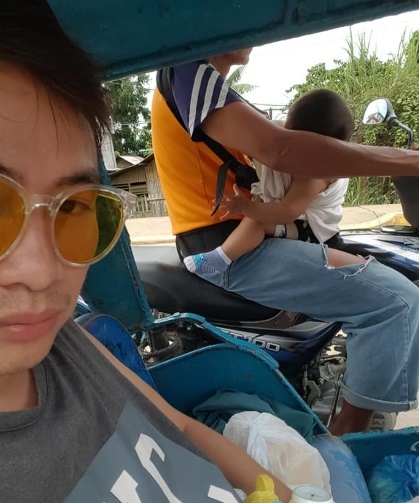 But, he’s lucky enough because the tricycle operator sometimes would not require Tatay Vicente to remit the boundary that he can use to buy milk for his son. After the plight of Tatay Vicente and his son was featured in Rated K, many kind-hearted people offered help. They sent financial help so that Tatay Vicente so that they can a better and safer life together.